I'm on Tokio Hot 100 chart! my song PEACE (GIVE THE PEOPLE THE POWER BACK), released in February, entered J-Wave's TOKIO HOT 100 CHART last weekend on 60th place! yesterday, J-Wave played my new single HOLD ON NOW for the first time. all sales from this song are donated to Red Cross Japan. the new Peacebird download single HOLD ON NOW was released yesterday! the song was written for the japanese people after the 3/11 earthquake and tsunami. all revenues from the sales will be donated to the japanese Red Cross to help their work in the tsunami-stricken areas. the song is sold from MY BANDCAMP PAGE. the payment is safe and made through Paypal using your bank card. if you have a paypal account, you can pay through that. the minimum price is 250 Yen (about 2 Euro), but you can set a higher price if you want to make a donation to Red Cross Japan. there's a lot of things going on right now in my mind and my emotional life, and i admit it's been a bit difficult to focus lately. worries have become unproportionally big, but i guess that's normal when people you really care about are under some kind of threat. seeing and understanding how japanese people really struggle to overcome the difficulties is a huge inspiration and lesson for me. i'm getting ready to finish the songs for the PEACEBIRD album, and for the japanese earthquake and tsunami relief special download single - the song HOLD ON NOW is my way to pay back this inspiration. we understand this life, one day at the time, one moment at the time. i'm thankful to be alive. anything more is a pure gift. we must never forget that. as i'm personally affected (through family and friends) by the tsunami striking japan, and i'm currently in tokyo, i was invited to radio station J-WAVE to perform a couple of songs live tomorrow afternoon, in Rachel Chan's program RENDEZ-VOUS. 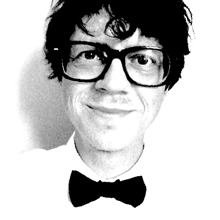 i will also perform at a charity event in aoyama, tokyo, on thursday evening. the place is called Tsuki Miru Kimi Omou, opens 18:30 and starts at 19:00. my performance time is not decided. finally, i'm working to finish a new song which i have written for the japanese people, called HOLD ON NOW. i caught a cold last week, but will finish the song as soon as my voice allows. i will sell it as a download on my BANDCAMP page and money from all sales will go to the Red Cross in Japan to support the victims. stay tuned for news. one of the songs i'm producing for japanese duo MAMERICO was released today as a digital download, and sales will go to help the japanese tsunami and earthquake victims. A BORDER is written by Maya and Kazuma Yano, and i have arranged and produced. the price is 100 yen, that's about 1 us dollar. please donate money now to help the people of japan. 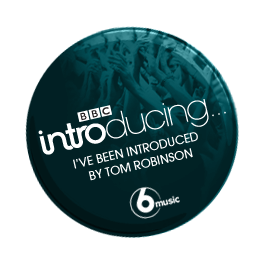 in the midst of emotional turmoil from the uncertain situation in japan, and not knowing if friends in the Sendai area are alive, i received the news that british radio channel BBC played my song last night, in a program called BBC Introducing With Tom Robinson. their interest was sparked with the release of my free download single with PEACEBIRD a few weeks ago. Red Cross UK has started a special Japan Tsunami campaign. thousands are isolated because of the tsunami without food, drinking water and electricity, and tens of thousands of people are still missing. the earthquake magnitude was just updated to 9.0.
on the google page, there are also other resources. the terrible earthquake and tsunami in japan has left many people without electricity and phones that can't be used. my friends in Japan - if possible, please tweet or email a "hello" so i know you're allright. i think the whole world is praying!